Story: The movie continues the adventure of the title character Bilbo Baggins as he journeys with the Wizard Gandalf and thirteen Dwarves, led by Thorin Oakenshield, on an epic quest to reclaim the Lonely Mountain and the lost Dwarf Kingdom of Erebor. Having survived the beginning of their unexpected journey, the Company continues East, encountering along the way the skin-changer Beorn and a swarm of giant Spiders in the treacherous forest of Mirkwood. 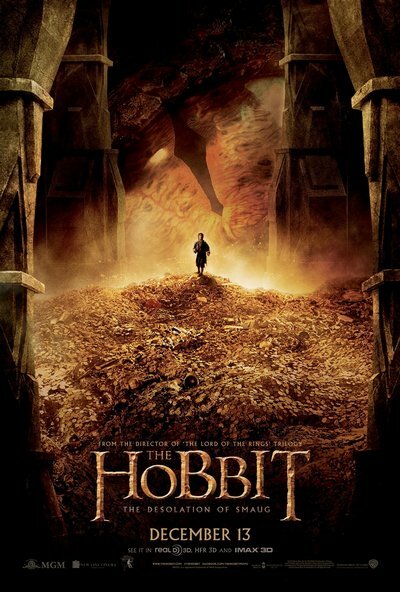 After escaping capture by the dangerous Wood-elves, the Dwarves journey to Lake-town, and finally to the Lonely Mountain itself, where they must face the greatest danger of all - a creature more terrifying than any other; one which will test not only the depth of their courage but the limits of their friendship and the wisdom of the journey itself - the Dragon Smaug.